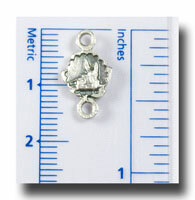 A sweet little two hole medal connector to be used as Our Fathers, or in place of chain or simply jump ringed together to make a bracelet. 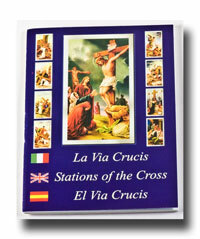 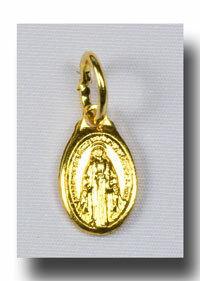 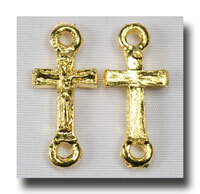 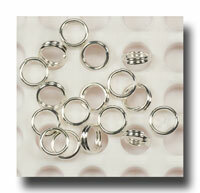 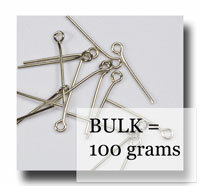 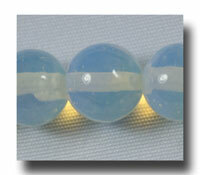 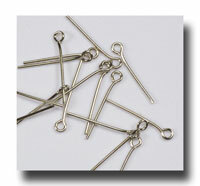 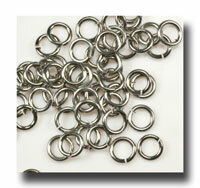 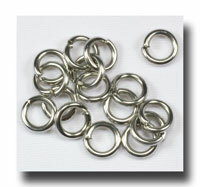 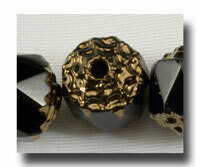 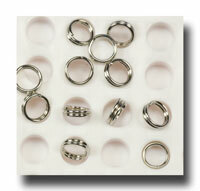 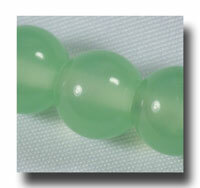 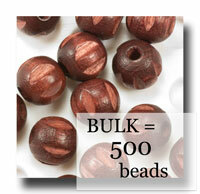 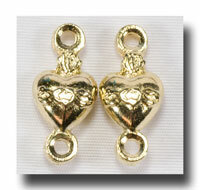 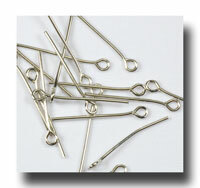 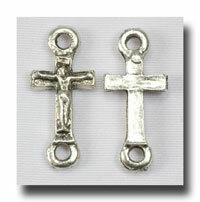 They are so handy for use on rosary repairs when someone loses a bead! 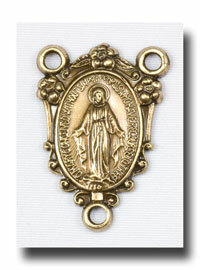 The image is of the Guardian Angel on a bridge with a child to one side. 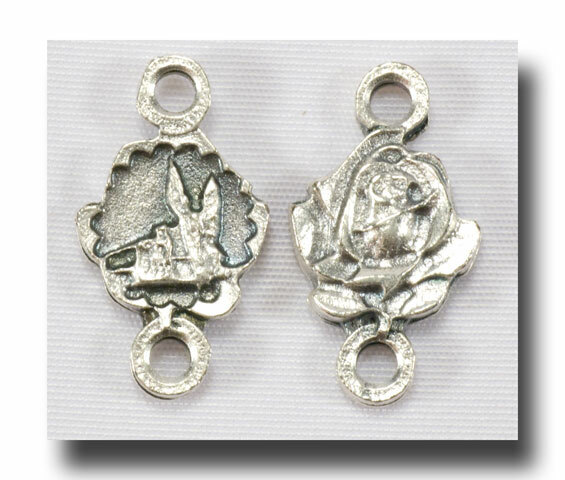 The reverse side of the medal is a rose. 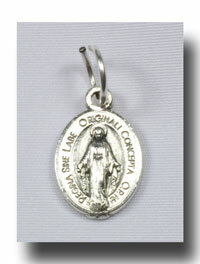 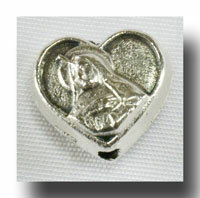 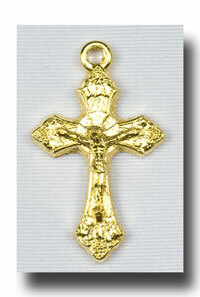 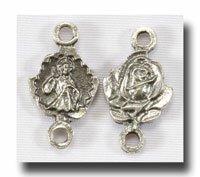 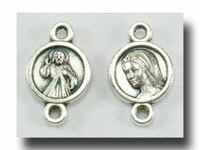 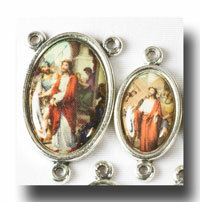 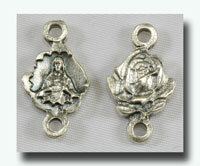 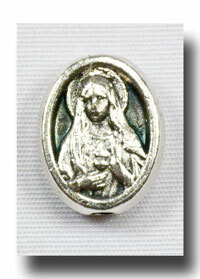 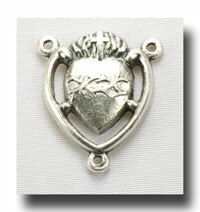 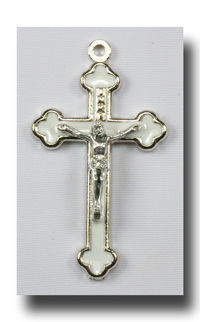 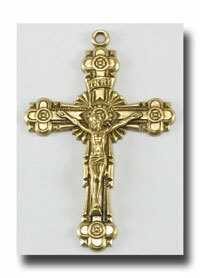 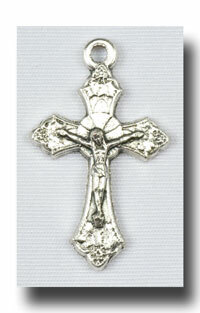 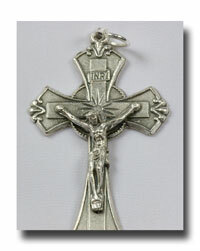 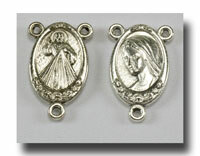 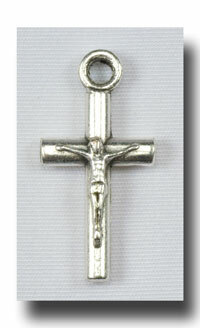 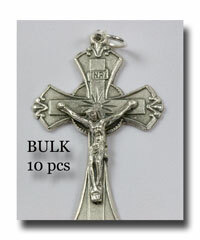 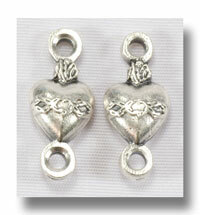 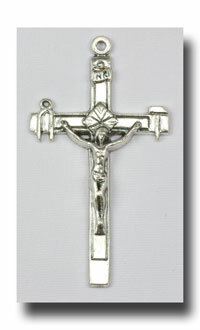 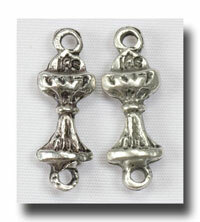 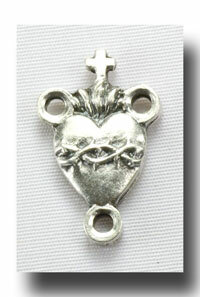 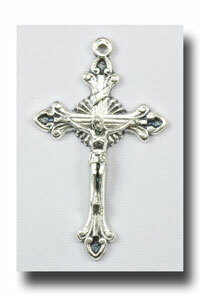 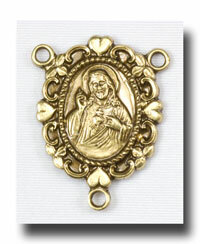 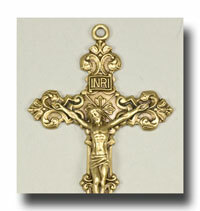 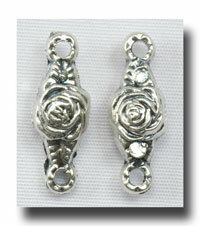 The size is 5/8 inch (1.6 cm) and it comes in the lead-free antique silver base metal.